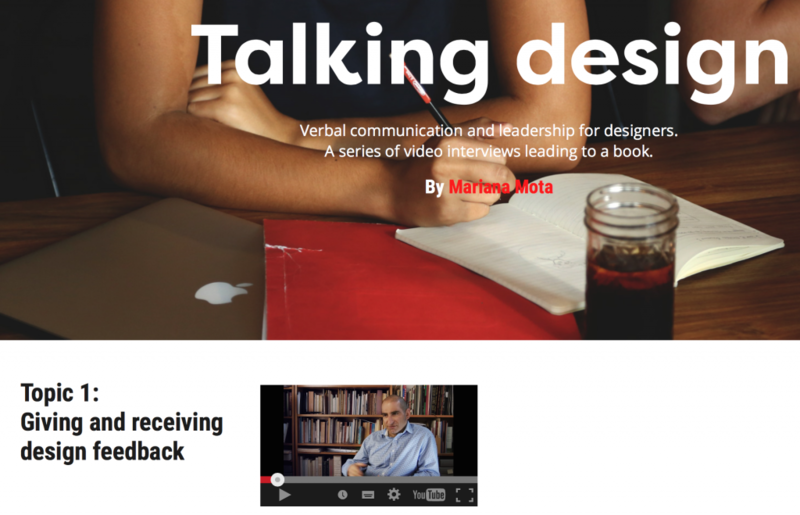 Mariana Mota, Lead Interaction Designer at software and web apps company Oxford Computer Consultants, is writing a book on verbal communication and leadership for designers. Her first interview, on constructive feedback, was with Gerry Leonidas. An edited extract is on Talking Design. This is the news portal for the Department of Typography & Graphic Communication at the University of Reading, UK.